Bombaiyya traveller in Dilli - Bombay Brasserie - CHOMP! SLURRP! BURP! Bombay Brasserie had been on my list since a burst of the most Instaworthy gram posts on my feed and I was all set to travel to Bombay and visit them (or Pune, more Pune) But fefore I could pan out that trip, they were here in Delhi tantalizing us all with their Pan-Indian delicacies and nostalgic food. 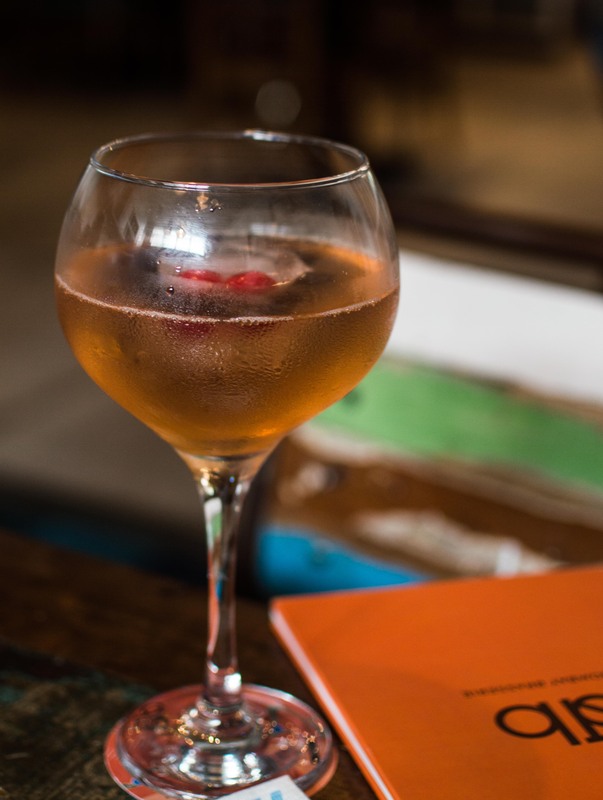 The ambiance is gorgeous with an admirable bar, vintage typewriters, ornate mirrors and their journey through cities. One drink that most definitely stands out is the Pink Gin. The narangi pauwa and mocktails are great as well. Our elaborate appetizers started with Crispy suji cakes – one of the best and really interesting vegetarian dishes yet. crunchy fried and soft on the inside suji cakes, crunchy fried garlic, peanuts, and a sweet chutney. Absolutely lovely. Aam papad paneer – well-marinated paneer, balanced spices, and stringy fried noodles. Gunpowder potatoes – baby potatoes, fried and topped with gunpowder masala, fried curry leaves, and onions. Himalayan spiced mushrooms – stuffed button mushrooms spiked with yellow chillies from Lakhori. The mushrooms were slightly bland in the core center. Shillong Shapale – shapale/ shabale is a kind of fried momo with juicy chicken. This just did not fit right, the chicken was too dry and tasteless and the skin was more like a pie and not momo. Rajputana murg soola kebab – this has to be my favourite out of the lot. Shikhar masala, well marinated and flamed to perfection. Served with tomato chutney and mint chutney. 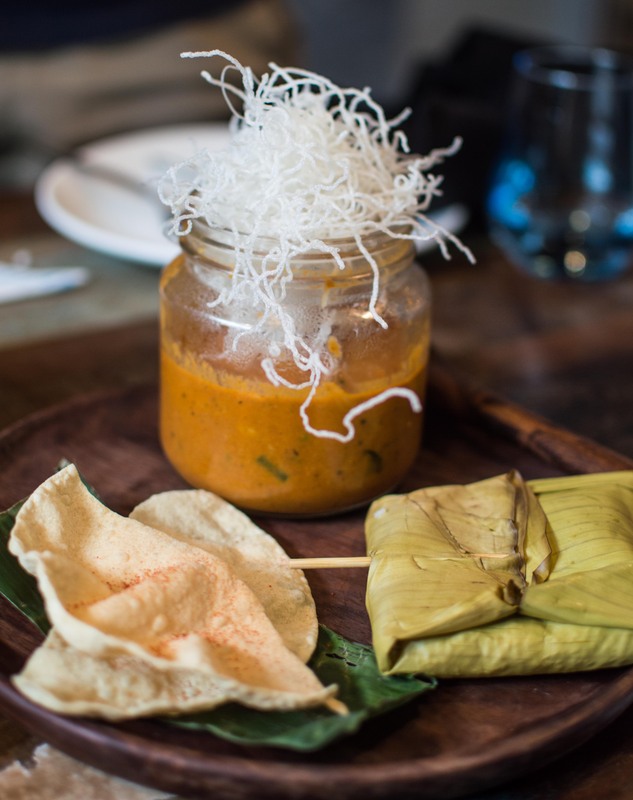 Bombay lunch home with Banana steamed rice – a really good and simple vegetable stew with hints of coconut milk, stringy fried papad noodles, South Indian papad and coconut milk rice steamed in a banana leaf. An ode to the Bombay lunch home, this dish was absolute gold, mixing the stew with rice balanced the level of coconut (read: bring on more of it). 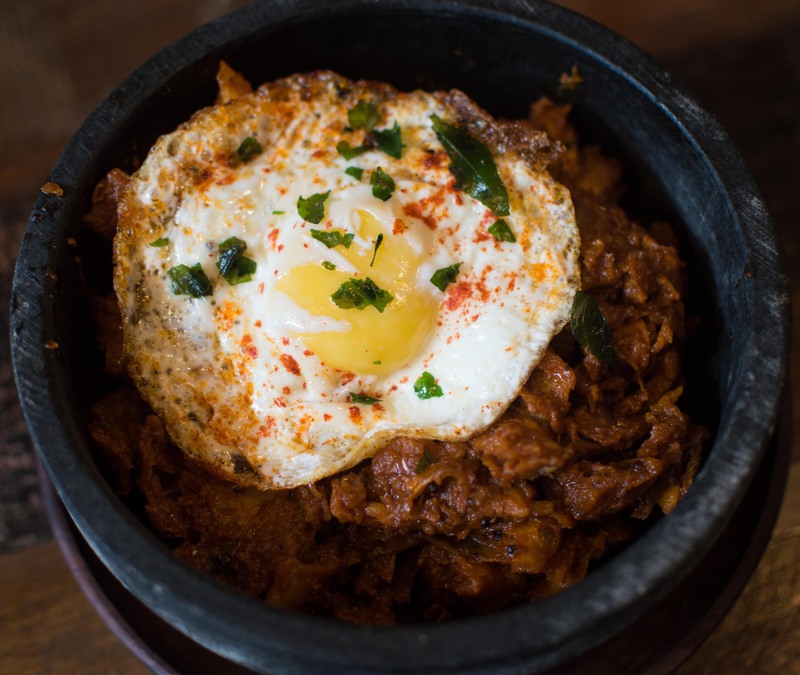 Tamil street chicken – after the Rajputana kebab, this dish absolutely sold me. Chunky bits of chicken, fried roti, curry leaves, and a rustic taste, topped with a fried egg. The layers and textures of this dish were insane. Break the egg and mix it well with the chicken and enjoy this hell of a preparation. Ras-e-aam – I recently tried baked rosgullas in Calcutta and loved them. This is a more heightened experience, topped with mangoes and served atop rabri. Amritsari Kulfa, kulfi and creamy rabdi on a bed of badami phirni finished with falooda and rose syrup. Honestly, too overwhelming for a classic dessert. Bombay ice cream sandwich – I was kind of expecting K. Rustom’s but this was old school quality walls, wafers, gems, jujubs, and chocolate sauce, they should probably rename this dessert to 90’s childhood on a plate. Bombay Brasserie is a perfect place to have a Pan India experience with the choicest ingredients – don’t miss out on Rajputana soola murg tikka, Tamil street chicken and Bombay lunch home stew with banana leaf teamed rice.